Just a few weeks ago, I was jogging in the neighborhood… I came upon this young girl who was outside shooting hoops in her driveway. I stopped and ask if I could join her; and to my surprise she said yes. As we began to shoot around, I told her that I had played once upon a time and just day’s prior to coming in contact with her I’d said to myself, "I needed to find a place to shoot around." 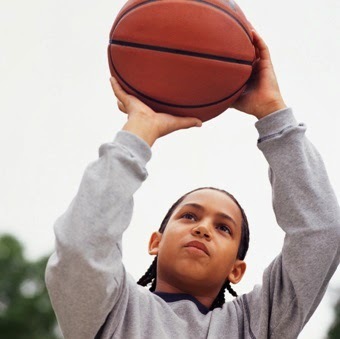 Tonight while shooting around, we discussed her last year of high school, physical health and readiness (for the upcoming basketball season) and thoughts on plans for preparing for her future… She’s excited, yet nerves as there’s a certain level of uncertainty going out into the world as a young adult. But here’s the beauty with this fresh start… She has many opportunities available to her and the sky is unlimited as it relates to what she can be and do. The key is having a plan of action to chart your course, monitor your progress and work through the process to achieve your said goals and aspirations. There are team sports and then there are individual sports; however, in both types of sports there's one constant and that's the one individual playing in each of them... Why do I bring this up you may ask? 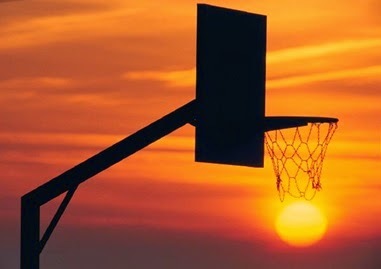 As it is in basketball, so it is in life… You give it your best shot!